Specializing in quality garage door systems professionally installed every time for residential, commercial, agricultural or industrial applications. We carry many styles of doors to fit your needs and can also provide you with an opener to make the job complete. Our full service business will take care of any of your repairs needs as well. Whether it is an upgrade in their existing garage door, a new door because of a move or a simple repair, they call Baker’s for all their garage door needs. This type of customer confidence is a wonderful testimonial to our business. 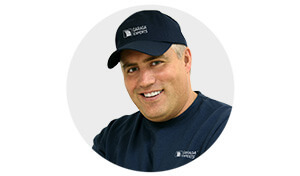 Garaga Inc., the largest manufacturer of garage doors in Canada, has certified us as a Garaga Expert. This means that we can guide you in finding exactly the right garage door. We are proud to continue to meet the criteria to maintain this honor. Rest assured that when working with Baker’s you will receive personal attention and professional service. Baker’s takes pride in knowing that we will help you in making the right choice for your home.Get a quote. You don’t want to worry about the largest moving part in your home: your garage door! LiftMaster, manufactured by The Chamberlain Group, is the only garage door opener line we recommend and sell. Their heave-duty motors and industrial-strength durable tracks assure smooth, steady performance. This number one best-selling garage door drive system comes is backed by trained technicians. Read more about LiftMaster products by clicking on our garage door openers and see why we stand behind LiftMaster garage door openers! We also fix or replace any parts of your garage door system. Our certified professional technicians provide onsite proactive preventive maintenance tune-ups and garage door opener repair. Broome, Ithaca, Sayre, Elmira, Tioga, Vestal, Owego, Endicott, Athens, Binghamton and surrounding areas.